Joquetta “The Digital D.I.V.A.” Johnson is high school library media specialist with the Baltimore County Public Schools. She is a national presenter and knowledge broker with more than 20 years of experience in librarianship, instructional technology, K-12, and post-secondary education. Known for her passion-driven and energetic presentation style, she inspires educators and leaders to “think, teach, and lead as if, there is no box.” As a teacher for social justice, Joquetta’s favorite part of the job is leveraging technology and culturally relevant pedagogy to excite, engage, empower, and enable ALL learners to meet academic success and to pursue their interests. 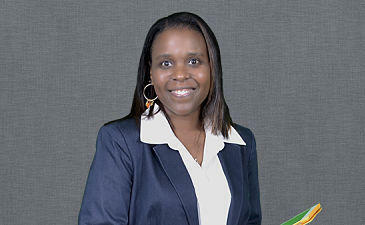 Joquetta is currently pursuing her doctoral degree in curriculum and teaching at Nova Southeastern University. A foodie, Zumba enthusiast, and binge-watcher, Joquetta enjoys spending time with family, friends, and her rescued Shih -Tzu, Butterscotch. Fun Fact: Joquetta's favorite color is orange. Follow Joquetta on Twitter, @accordin2jo.